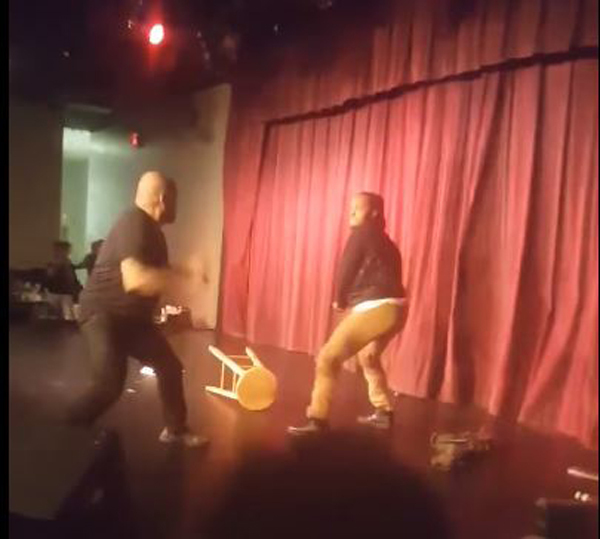 A crazy fight between a comic an an audience member was all over the news this week. On this show reminisces about the near-fights and audience flare-ups he’s been a part of in his comedy career. This includes a giant Asian man jumping on a bar, and actually being spit on by a lady (maybe “lady” is more appropriate). He’s joined this week by veteran funnyman Kevin Kramis who shares what he’s seen, and the guys why these things happen at clubs and how, as a comedian, to avoid them. Corey Hall phones the show to talk about how he had to become “security” one night recently with a drunken lady at the Comedy Castle – no mike stands, stools, or furry middle-aged comics got hurt in that one. Also, Joel attempts storytelling to a live audience with mixed results. Find out his approach, and why a comedian must fight his own instincts to thing he’s being successful in that format. Plus, The Oscar nominations come out and Joel discusses the nominees, the snubs and tells good movies to see like The Florida Project, Columbus, and Lady Bird – you can skip Call Me Be Your Name. On the TV front, Crashing returns to HBO, Star Wars toys on Netflix and neither Kevin nor Joel has much interest in the NFL anymore. Don’t watch comedy specials says Joel. They’re all fake! Or enough parts of them to make it an unrealistic representation of what a live stand-up comedy show is really like. This observation comes as the worldwide media reacts to the new Dave Chappelle specials on Netflix. Joel and Corey Hall can’t seem to figure out why comedy is now treated as political speech when it’s goal is to make people laugh. Joel explains how lots of tricks like editing together multiple shows and adding laughs to the soundtrack make the shows more “fake” then they should be, and therefore he doesn’t watch – and frankly doesn’t care. Joel also returned to the road this week and has a recap of four shows he’s done since the last podcast. Find out if Joel is thirsty for the high of live performing or if he’s seen enough. Also, a full Golden Globes review including why the somber tone made the show a bummer, how the presenters made the same mistake over and over, and why Kirk Douglas was out there – actually there’s no explanation for that. Plus, reviews of I, Tonya, the excellent LA 92 documentary, and hear if Lana Del Ray ripped off Radiohead – who ripped off The Hollies. 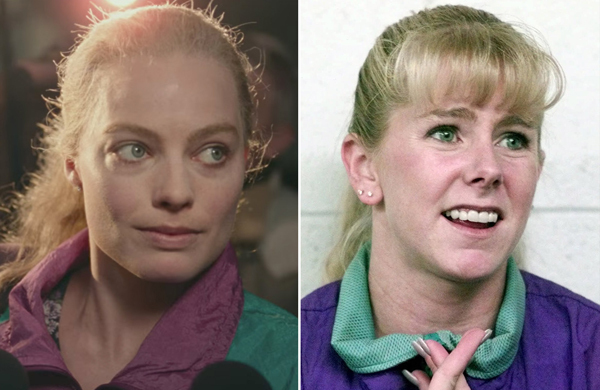 Margot Robbie plays Tonya Harding. Yep, that’s Hollywood!